Here were our instructions and samples. You know that the kids' version didn't look anything like this, right? 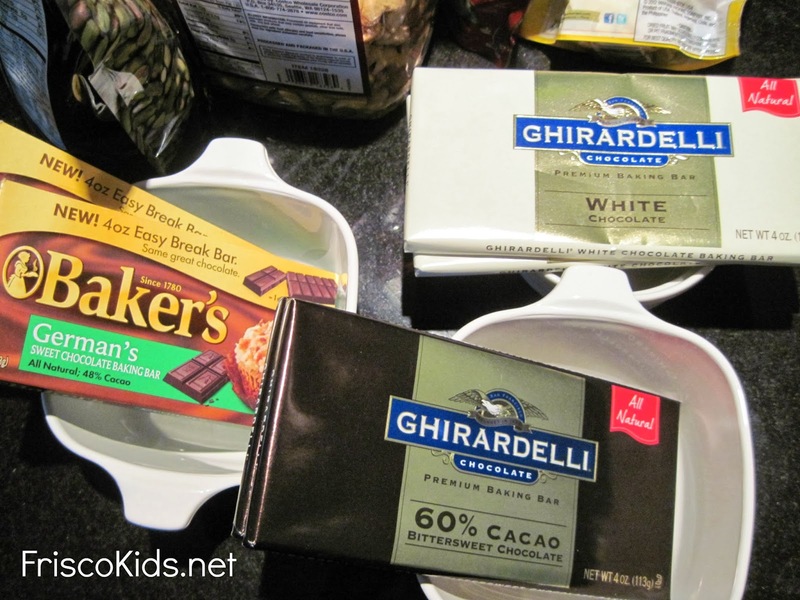 If you melt the chocolate in the microwave, watch over it very carefully to make sure it doesn't boil or burn. 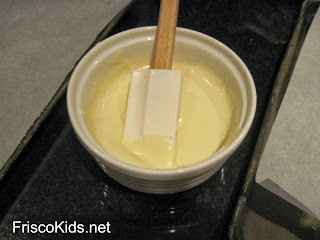 You can also do it in a double boiler. Then smear the chocolate on both sides of the cracker. If you use a spatula instead of dipping, you'll avoid crumbs in the melted chocolate. My mom chose to do this herself to keep the kitchen neater. She chose various toppings. The kids vetoed most of the dried fruit, and chose instead marshmallows, gummy bears, pretzels, Jelly Bellies and honey roasted peanuts. 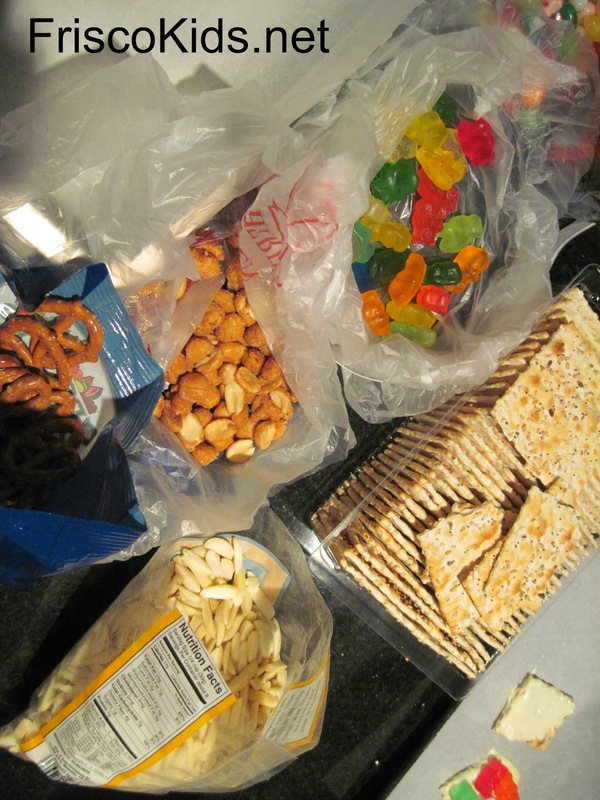 I toasted some of the almonds for mine. My mom used crackers that had some seeds on them, though it's totally up to you. The salty and sweet is nice together. 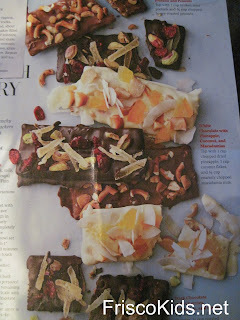 After the chocolate is brushed on, put it on a piece of parchment paper on a something flat that can go into the refrigerator (it will need to harden). They each had their own tray. 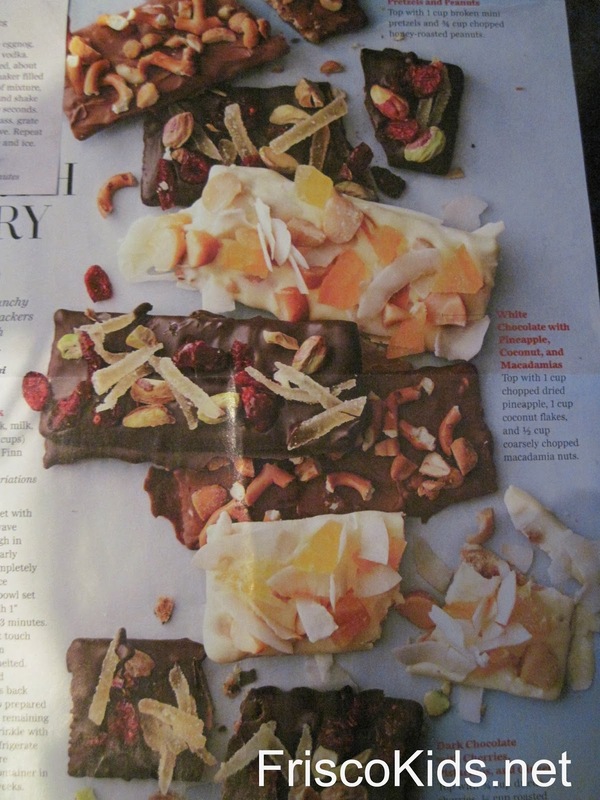 With the leftover scrapings of chocolate, I made some too, using the beautiful bag of dried fruit and my toasted nuts, and they looked very much like the ones in the magazine. Mine is below. Pretty, huh? The kids were thrilled with theirs. If you like this, check out our post on making chocolate-dipped pretzels here. 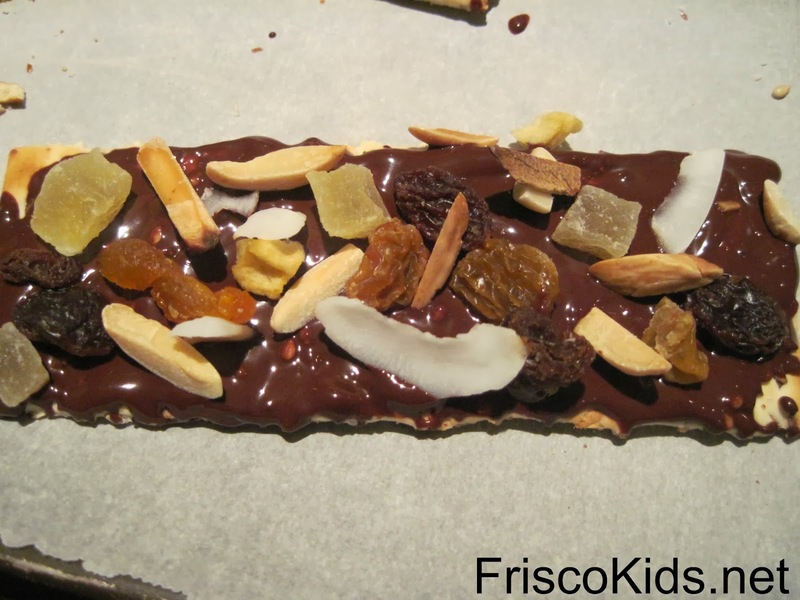 Frisco Kids makes chocolate with Pop Rocks here. Here's Passover matzah with chocolate toffee. 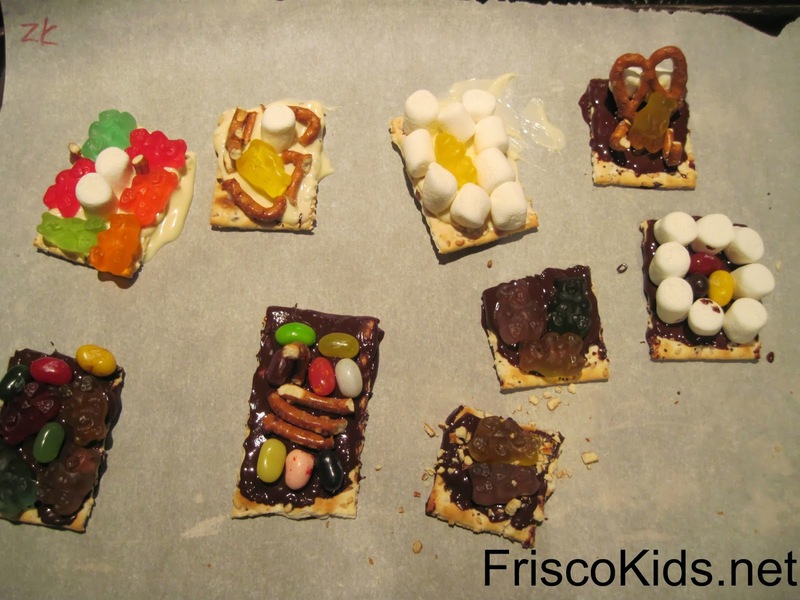 For more on Frisco Kids chocolate holiday favorites, click here.